RelocationExpert was formed to offer a unique reference point on moving house, planning, packing and moving. Are you about to move house - or to relocate to another part of the UK? Or even a different country? If so, RelocationExpert is the place to start. We can offer you up-to-date, impartial advice on moving home and starting again in a new area. Our expert writers will guide you through what can be one of the most stressful periods of anyone's life, offering helpful hints, suggestions and, above all, good, practical, information. On this website you will find tips on planning your move, selling your home and putting down roots in a different location. There are interviews with professionals dealing with all areas of relocation, emigration and moving. You will find checklists and questionnaires to help you define your needs - and to ensure you have forgotten nothing essential. You will be able to discover just how well others like you have coped, as our case studies reveal the real "ups and downs" of relocating. 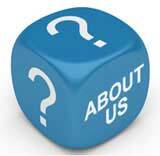 Our aim is to provide competent information that you can trust, so we ensure it is updated regularly. We also want to hear your thoughts and stories, and to help you with any particular questions or problems you might have. So please do contact us and tell us about your relocation issues. We aim to pass your tips on to others and to respond to your questions with capable suggestions you can trust. RelocationExpert was founded by John Rowlinson, the founder of PtS. John, through PtS, is involved in a number of ventures including software and property companies. A percentage of revenue from these activities goes towards funding RelocationExpert and a number of similar sites.